Are you a high school counselor, principal church-group, or homeschool organization looking for options to help your students’ complete courses to meet graduation requirements? Northgate partners with schools, churches, and organizations all over the world to offer affordable, high quality online high school programs. We work with schools, colleges, residential recovery treatment centers, such as Teen Challenge, churches and homeschool groups to help students stay on track with high school graduation. Perhaps you are an employer and you need to help your employees meet high school graduation requirements? Maybe your organization offers tuition assistance for your workers? Northgate Academy can help to educate your workforce. Do you operate an International school? Are you in need an American, Christian-based high school diploma for your students? We can provide the curriculum and support to prepare your students for admissions to an American college or university. Earning a high school diploma can open many doors. 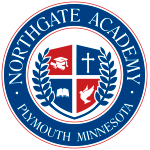 If your organization is interested in partnering with Northgate Academy, please call us today at (763) 412-4700.